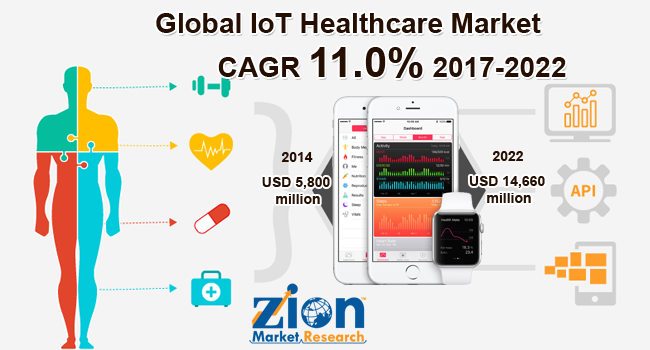 Global IoT Healthcare Market was valued at around USD 5,800 million in 2014 and it is expected to reach USD 14,660 million by 2022 & is growing at a CAGR of 11.0% between 2017 and 2022. The report includes detailed profiles of the prominent market players that are trending in the market. The list of the players that are compiled in the report is Cerner Corporation., Diabetizer Ltd. & Co. KG , Infosys Limited, Medtronic Public Limited Company, Microsoft Corporation, Proteus Digital Health, Inc. among others.